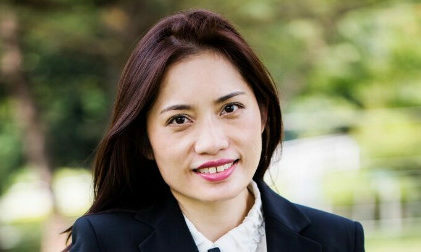 Burda International Asia, a subsidiary of Hubert Burda Media, has appointed Lena Kwek as managing director of the print publishing unit of Burda Singapore as part of a leadership reorganisation. Lena brings with her 20 years of experience in the Singapore publishing industry. Prior to her appointment, she helmed the role of a general manager of sales at Atlas Press for T: The New York Times Magazine and previously held the same role at Edipresse Media. She will be replacing Melvin Ang, group publisher and managing director of Burda International Asia following his departure. Sven Friedrichs, CEO of Burda International Asia said that Ang had been an integral part of Burda and a key member of the Singapore founding team. “For the last 18 years his dedication and commitment has been astounding, and for this we thank him. In addition, we are excited that Lena has chosen the next phase of her career with us to foster our mission to be the first in luxury,” he added. “As one of the founding members, anchoring for 18 years the success of our three titles, Prestige, Augustman and PIN Prestige, as well as several of spin-off titles and projects, I’ve enjoyed this journey immensely. However, every enjoyable journey will come to an end – and for me it’s time to move on. I am thankful and humbled by the support of advertisers and readers over these many years, which made all of these successes possible,” Ang said. “Our mission continues to be the first in luxury throughout this dynamic region, by connecting affluent consumers with luxury brands and services through our targeted content solutions. We have thus redefined ourselves from a traditional publisher to a content company,” Friedrichs said. Headed by Friedrichs, the group publishing unit comprises print editions of Prestige magazine in Singapore, Malaysia, Indonesia, Hong Kong, Thailand and Taiwan, Augustman in both Singapore and Malaysia, and PIN Prestige in Singapore. Earlier this year, Burda International Asia, also the publisher of luxury content platforms including Lifestyle Asia and PrestigeOnline restructured its business into three distinct units: digital, print and services – including a significant investment in expanding its business units across the region, bolstering its workforce to offer innovative luxury content solutions. South China Morning Post's Recruitment Services division has launched a massive HK$7 million campaign for its new job portal smart..
"You wouldn't ask a crime journalist to write something about your soap, no matter how popular that journalist is. This isn't that..